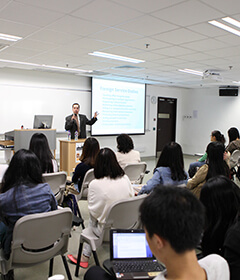 This course provides professional postgraduate studies in international journalism with a particular emphasis on Hong Kong, Mainland China and East/Southeast Asia. This is offered in two concentrations: International Journalism and Business and Financial Journalism. Launched in 2007, the Programme has turned hundreds of college graduates with various backgrounds into reporters, editors or photographers in major news outlets, pursuing their challenging careers. 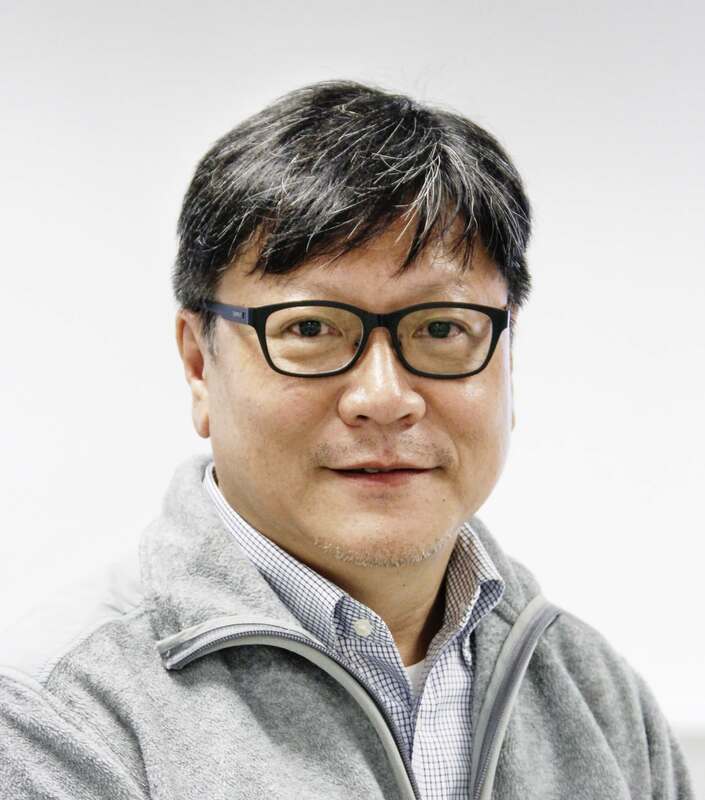 A significant number have become print or broadcast journalists at Hong Kong-based news media while others are in mainland China working in journalism online or offline. We are proud to report that many of them consider their training here vital to their professional endeavor as the Programme empowered them to win the “first real battle” in their burgeoning career in journalism, particularly in using English language to report on major international events. If truth be told, international journalism is a demanding profession. There are no limits on what one needs to know to be able to cover cross-border conflicts, diplomatic drama, domestic upheaval, and international trade disputes. No amount of preparation can ensure that an international journalist knows every culture or any specific hot button issue. 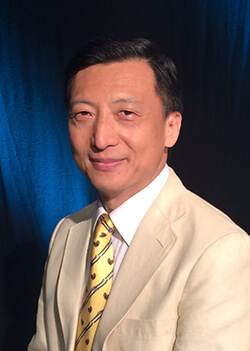 What we hope to achieve is to help our students broaden their horizons, to enable them to analyze an individual case with certain principles or theories, and to acquire the skills of being a keen observer, an inquisitive researcher, and a knowledgeable reporter with intellectual depth and cultural awareness. We hope the students will apply these principles and skills to whatever situation their work may take them, so as to produce good journalism that strives to inform, educate or entertain. To those of you who have the passion or desire to study and work in international journalism, I want to tell you this: we are always ready to help you reach your goal. 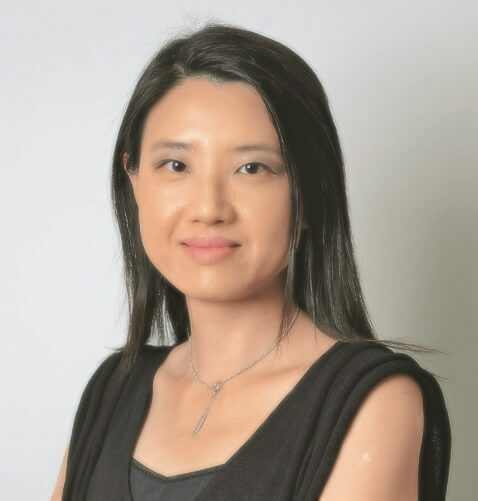 We have gathered an international faculty whose members hail from different parts of China, Britain, the United States and elsewhere with extensive experience covering Hong Kong, mainland China, the US, Southeast Asia and many other corners of the world. 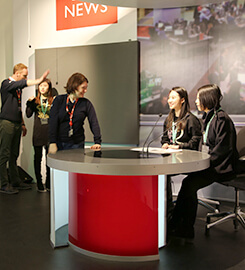 They will induct you into the exciting world of international journalism and help you hone the skills of identifying, reporting, writing and producing news stories that appeal to an international audience. Apart from teaching you how to write good news reports, they will show you the way to find the single piece of important information from the huge trove of commercial data in order to back up your exclusive story. Life is good. Life can be intoxicating. And we want you to experience it all while you are here in the MAIJS family. You will love it, love it, and love it. 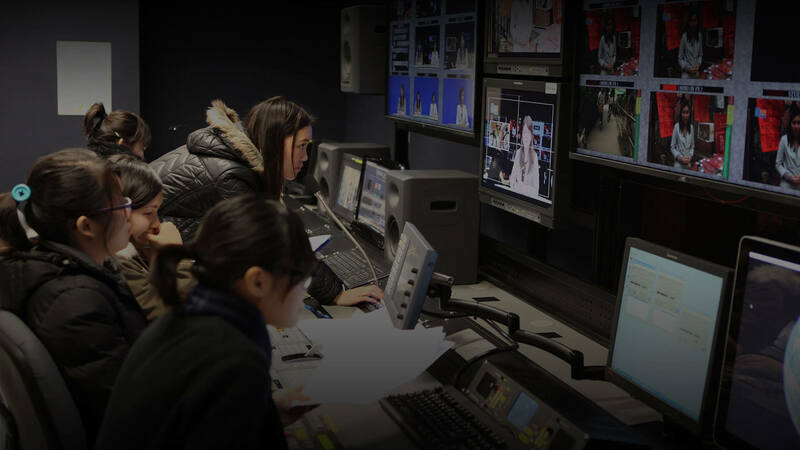 Hong Kong Baptist University has taught International Journalism for more than a decade as a branch of its Journalism degree, which started in 1968 as the founding programme of what is now the School of Communication. 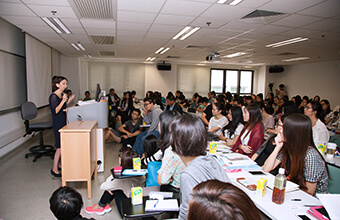 The MA in International Journalism Studies Programme was founded in 2007 and aims to provide professional postgraduate studies in international journalism with a particular emphasis on Hong Kong, Mainland China and East/Southeast Asia. The programme has two concentrations: International Journalism and Business and Financial Journalism. The BUSINESS AND FINANCIAL JOURNALISM concentration aims to accommodate students with or without previous experience working in or studying business and economics. Students not only learn how companies and markets function, but are also taught the skills of writing and reporting business and financial news for daily newspapers, business journals and financial websites. 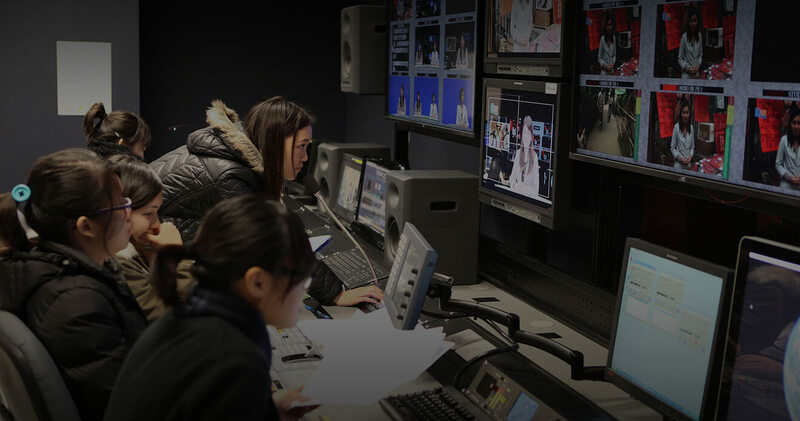 The INTERNATIONAL JOURNALISM concentration aims to cultivate journalism professionals with an in-depth understanding of international politics, economy and culture and equip them with the necessary skills to operate in English in covering international news. All students are required to complete a total of 27 units for the award of an MA degree. Each unit-bearing Course counts as 3 units. 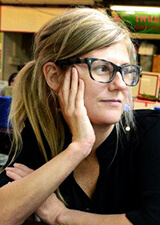 A 3-unit Course involves 45 hours of teaching. The 27 units consist of 15 units of unit-bearing Core Courses and 12 Elective units. The Master of Arts in International Journalism Studies (MAIJS) is a one-year full time or two-year part-time course. Overall the MAIJS programme seeks the most promising students in terms of professional and academic distinction. We read all applications and take all factors into account. There is no cut-off point for grade point averages. No one item, such as the English scores, grade point averages, or letter of recommendation, is conclusive. Potential for academic and professional excellence can be demonstrated in many ways. We adopt the rolling admission policy and open a window for application from 16 November to 30 June (First Round 16 November – 15 January; Second Round 16 January – 30 June). It may be to your advantage to apply as early as possible, as the window may close earlier when all spots are filled. Short-listed applicants may be notified of an interview. You should apply online and upload all the application materials to the system. The application fee is non-refundable and will not be credited to tuition in the event of admission. 1. Do you offer scholarships? Merit-based scholarships will be awarded in the second semester to students with outstanding academic performance in the first semester. 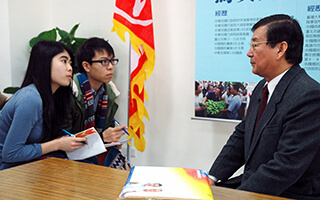 Awarded students receive between HK$10,000 and $20,000. 2. Can I live on campus? The student halls are not available to post-graduate students, but there is a private on-campus dorm called the NTT International House that some students like to stay in. Most students find private housing off campus. 3. What is Hong Kong like? Hong Kong is a dynamic, international 24-hour city that is full of people, cultural events and food from all over the world. Cantonese is the main language but English is also widely used. Hong Kong is one of the safest cities in the world, is an excellent travel hub for exploring the rest of Asia and has a large variety of outdoor activities and tourist attractions. People love living in the city for its vibrancy and endless list of things to do. 4. Is a dissertation required? No. We recommend disserations only for students interested in pursuing further studies. 5. Do I need to speak Chinese to enroll in your programme? Not at all! The programme is taught 100 per cent in English. And if you want to learn Cantonese or Putonghua, there are many opportunities to study. 6. 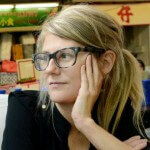 Can I work in Hong Kong on a student visa? Students can work on campus up to 20 hours per week and are allowed to have short-term internships while studying. 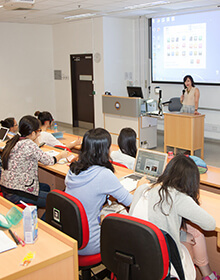 Students may also work in the summer and the Hong Kong government allows students to spend one year working in Hong Kong after graduation without a work visa. See government regulations here. 7. Does tuition include health insurance? Yes. We have committed a substantial subsidy for all students of the progamme to enjoy the same privileges and services as those of UGC-funded programmes at the University Health Clinic. 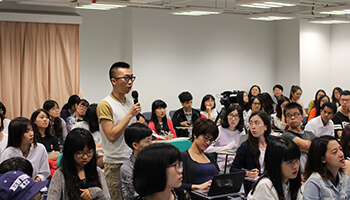 The Hinrich Foundation Global Trade Leader Scholarship for HKBU MA in International Journalism Studies (MAIJS) students will help talented young professionals from developing economies in Asia to obtain a master’s degree in journalism while contributing to the development of sustainable global trade. The Scholarship will cover the entire tuition fee HK$145,000. Half covered by The Hinrich Foundation, and half waived by HKBU MAIJS Programme. Students from Asian countries who want to obtain this Scholarship can submit their applications once they have been admitted by the MAIJS Prorgramme. For the time being, the Scholarship is available for applicants from the following countries only: India, Nepal, Bangladesh, Myanmar, Laos, Cambodia, Vietnam, the Philippines and Indonesia. Applicants should indicate that they would apply for the Scholarship when submitting their applications to the MAIJS Programme.